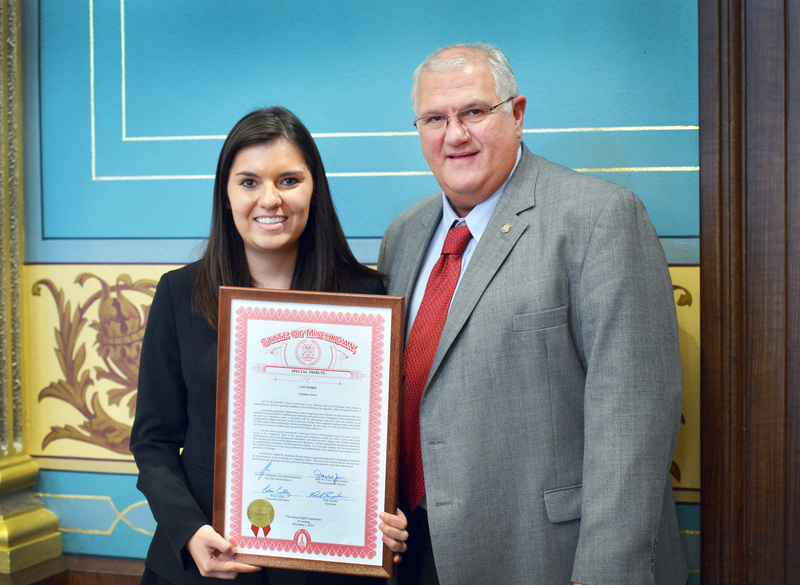 LANSING, Mich. — Sen. Dale Zorn on Tuesday presented a special tribute to Cait Corie of Dundee in recognition of her successful completion of her legislative internship in Zorn’s Senate office. Corie is a student at Monroe County Community College. The tribute was signed by Zorn; Gov. Rick Snyder; Lt. Gov. Brian Calley; and Rep. Jason Sheppard, R-Temperance. Zorn said that his office is always looking for talented young people to serve the residents of Monroe and Lenawee counties as an intern. 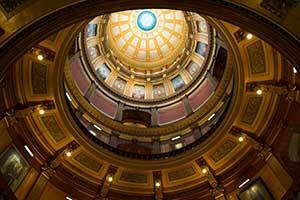 Residents who are interested in internship opportunities in Zorn’s office are encouraged to contact the office at (517) 373-3543 or via e-mail at SenDZorn@senate.michigan.gov. Photo caption: Sen. Dale Zorn, R-Ida, presented a special tribute to Cait Corie of Dundee in recognition of her successful completion of her legislative internship in Zorn’s Senate office. Corie is a student at Monroe County Community College. The tribute was signed by Zorn; Gov. Rick Snyder; Lt. Gov. Brian Calley; and Rep. Jason Sheppard, R-Temperance.